From nothing to a monopoly. From zero to one. Not to something, but to exactly 1 – representing a brand new way of delivery and new delivered value to a person. Going by this book, entrepreneurship means innovating and creating more value than your regular Joe the business owner. It’s a wholly different approach that the notional way of starting a business: figuring out the market, your competitive advantage and then trying to compete with others in the space. 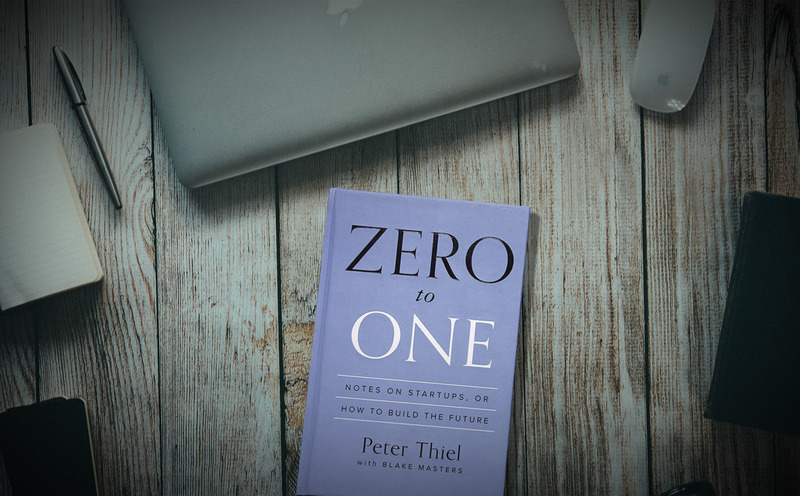 Thiel explains why this strategy doesn’t work and how it’s the reason why 99% of newly started companies close down before they’ve raised any funding. Instead of trying to compete in a crowded space, the way to succeed is to start by creating a brand new space. Think of great businesses that have a monopoly in their industries. Businesses like Google, Microsoft, Apple or the social media giants like Facebook. All of these have only one thing in common – their founders went from zero to one in creating the business. Not from zero to a business that failed because they tried to compete with ABC companies. Is the backbone of my idea and my competitive edge an improvement to a product that already exists? If your answer is yes, then you’re unlikely to create a successful business with a lasting legacy. You’re unlikely to establish a monopoly to deliver enough value which will keep you scaling and successful. What important truth do few people agree with you on? I can think of at least a few truths, and if done right all of them could well be actionable business opportunities. Can you think of any? The Engineering question: Can you create breakthrough technology and deliver a 10x improvement instead of incremental change? The Timing question: Is now the right time for it? The Durability question: Can you defend your market position for 10 to 20 years? The Secret question: Do you see a unique opportunity that others don’t? The first 6 can be answered instantly, however it’s your answer to the 7th question which might just be your golden ticket to success. The secret (unique opportunity) should come from your answer to the question “What important truth do few people agree with you on?” and it must be linked directly to the above 6 mandatory questions for any budding entrepreneur. You see, all great companies started by having their secret, which they still have and they add new ones every day to maintain the monopoly. Thiel and Masters explain how you shouldn’t blindly aim to just disrupt. “Disruptive companies tend to pick up fights they cannot win…” and “…avoid competition as much as possible”. And so the book’s biggest takeaway for any high performer wanting to start a business is clear: if you want to create long-lasting value and growth, you should not build an undifferentiated commodity business. There are already too many of those. Too many zeros and not enough 1s. Not enough businesses whose founders went from 0 to 1, rather than from 1 to ‘n’ which is the common approach. Because people wear too many hats and try to take care of more than one thing at a time. This leads to misunderstandings, poor communication and shared responsibilities which never work. The worst cofounders are the ones that are not aligned with your vision. For example, if you plan to build long-lasting monopoly whereas your partner wants to sell as soon as the business becomes profitable, there will be a divorce. And it’ll be worse than the typical family drama. What leads to a good choice of cofounder is when you’ve known the person for years, and you’ve seen more than a couple of sides of them. You need to know how to not only work with them, but also what to expect from them when things go awry. The first step in any action should be to think for yourself. To see the world as an empty slate yet with so much abundance and potential is to see it like the ancients. You need to shift away from outdated paradigms piggy-backing on old innovations. This is the only way to re-create and preserve a successful world for the future. Your future is not based solely on luck. You are only lucky to be born in a progressive continents and first world countries: these are the best jumping board to success for a person who wants to shape their own future. Thus the usual notion of ‘let’s see how it goes’ and gambling on possibilities is insufficient to produce the success need to create a lasting business or career. You need to take control of as many aspects of your life as possible and if you can’t – delegate it to someone who can help you out. The entrepreneur rulebook and post-dotcom bubble business logic should be binned.